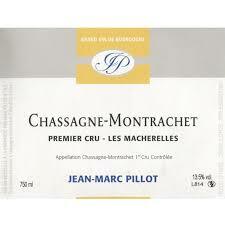 2016 Jean-Marc Pillot Chassagne-Montrachet 1er Cru Les Macherelles - $69.99: Vins Rare, The finest selection of rare wines. Burghound (Allen Meadows) 91-93. Sweet Spot. Outstanding.